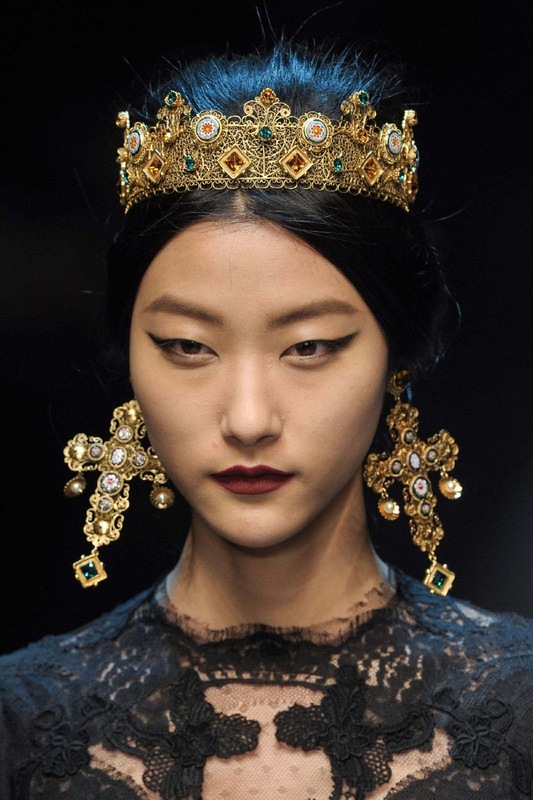 Why the Dolce and Gabbana Milan Pilgrimage? I recently travelled to Milan to visit my fiance, who was sent to the famous Corso Venezia number 15 Dolce and Gabbana Milan store to work on the launch of the first ever Dolce and Gabbana atelier in the world for bespoke menswear garments only. The Dolce and Gabbana atelier, titled Sartoria, expands even further upon the luxury fashion and lifestyle experience the palazzo already offers to its shoppers and guests. If you have visited the Dolce and Gabbana palace before, you will know that I am by no means exaggerating when I call its quarters a ‘palace’ and a visit to the palace an ‘experience’ – as a visit to any palace would be. Keep reading to find out more about my Dolce and Gabbana and Milan fashion pilgrimage…. Although I have been travelling back and forth to Italy for nine years now, I was still yet to make it to what my fiance calls ‘the ultimate fashion capital’. ‘Arguably, maybe Paris might be the home of womenswear fashion, but, hands down, the menswear capital is Milan.’ He told me, with his proud Sicilian-ness. I dare not call him biased. Milan was indeed the last fashion capital on my list to be crossed off. Regular Charms of a Dandizette readers will know that I have a special affection for Italy, because of my fiance and my close ties with the country , my love of its culture, its food, its language and its traditions . It’s become part of the world that I have grown familiar with and have started to look upon it as my home away from home. However, while I was excited to finally travel to a more northern region of Italy and naturally, excited to see this fashion capital, anticipating my travel to Milan evoked a sense of nervousness in me. I had it on a pedestal and I really wanted to fall in love with it. I had fallen in love with Parisienne Chic fashion and the romance of the culture in Paris. I was ignited by the energy, the lifestyle and the spectacularly designed stores belonging to the major fashion houses on the iconic 5th Avenue and of course, I already live in London – one of the braver and more pioneering fashion capitals (in my books). But this was the Italian fashion capital. I wanted to fall in love with it and, I would be lying if I didn’t say, I also wanted Milan to fall in love with me too. I wanted to fit in, to feel at home and make a good impression on this great fashion capital. And as any fashion lover will know, first impressions start with clothes. I landed in Milan, wearing a a khaki, leather piping zip up jumpsuit from Zara. On my feet a pair of silver Terry De Havilland wedges, in my hand my Alexander Wang black Rocco bag and on my face my Anouk Tom Ford sunglasses. A jumpsuit seems to do wonders for my figure, although I am already of a good height, the jumpsuit slims and elongates and they are perfect for flying. My shoes, bag and sunglasses added that high fashion edge to the ensemble, which I felt was completely necessary for my fashion pilgrimage in Milan – a metallic Terry De Havilland wedge can do wonders for any ensemble. I jumped in a taxi, giddy with fashion excitement, and headed straight for the number 15 Corso Venezia store, with no idea what to expect from the new store, the Milanese fashion or the people. Corso Venezia is Milan’s elite shopping district – think Bond Street or Sloane Street – lined with the stores of world famous fashion houses, Prada, Gucci and, of course, Dolce and Gabbana, having a presence in a very big way. When my taxi pulled up outside 15 Corso Venezia I could barely believe what I was seeing – this was no ordinary store. I stepped out of the car to meet my fiance, who walked me through a quaint and picturesque courtyard where petite yet curvy beautiful women, wearing dresses of the typical Dolce and Gabbana silhouette and lace court shoes, were serving drinks to patrons sitting in the courtyard. I continued walking further into the enclosed outdoor space to meet some of the Dolce and Gabanna employees – men, groomed to perfection, dark haired, sun kissed skin and perfectly manicured hands, wearing impeccably cut black suits. Like I said, it was later understood that, indeed, the Dolce and Gabbana store on Corso Venezia was no ordinary store at all, in fact, it occupies a palace. An entire neoclassical palace of the 16th century, that once belonged to a wealthy Italian family. The palace makes home to a Dolce and Gabbana leather goods and accessories store complete with an in store shoe mender. The main store, which covers four floors, selling the most comprehensive selection of Dolce and Gabbana goods, including jewellery, casual wear, fashion suits, knitwear, classic and season goods and the most recently opened and more specialist space, Dolce and Gabbana Sartoria, for which my fiance went to assist with the opening. Dolce and Gabbana Sartoria is dedicated solely to bespoke menswear. All garments are handcrafted and cut and finished by Dolce and Gabbana tailors. The Sartoria offers a a one to one fashion experience for men that want their garments made from cloth to finish entirely, designed for their tastes, cut as sharp as a razor and fit to perfection. Can you smell the opulence and the ultimate luxury? There’s more still. In addition to leather goods, handmade garments and all things Dolce and Gabbana, men can also be coiffed by Dolce and Gabbana at the Dolce and Gabbana Barber shop. This barber shop makes the designer beard (in the literal sense of the word) completely achievable. In a time when men’s hair and facial hair is just as crucial a statement to be made as his shoes, his watch or his jacket, this is the perfect way to finish off any desired look and for those that can’t afford handcrafted garments designed by Dolce and Gabbana, the barber shop offers the chance to experience the luxury of the fashion house in an alternative, but just as fashionable way. So, that covers the garments and the grooming. There I am, sat inside the palace walls, in the courtyard of the famous Dolce and Gabbana Bar Martini, ambient house music filtering through the speakers. I am presented with an endless list of delicious cocktails, each coming in their appropriately shaped Martini glass. In addition to Bar Martini, across the courtyard of the palace is Dolce and Gabbana Bistrot Martini, a fine dining restaurant serving Italian cuisine with a chic and modern influence, again with it’s own al fresco dining area in another courtyard. Alone, waiting for my fiance to finish his work, I was feeling extremely excited to have a reason to be here and proud of my very small association with this groundbreaking and unbelievably glamorous fashion house. Bar Martini slowly began to fill with patrons that had clearly been shopping and working in this fabulous Milan shopping district, giving me the opportunity to get a feel for the fashion and style in the city. Unlike Sicily, where women dress in slightly more typical Italian fashions and I often feel I need to tone down my dress to avoid being overdressed, in Milan it’s just fashion. It’s the street style fashion you see on street style fashion blogs, it’s the glamour you see in Italian Vogue, it’s the way of dress you see on Giovanna Battaglia. It’s fashion for fashion sake. The fashion isn’t alternative, you can’t be too cool for it, it isn’t considered shallow or irrelevant and there’s nothing wrong with loving it, embracing it and aspiring to it. For the first time ever in Italy, I had no concern of being overdressed at all. Everybody was dressed, adorned with pride, expensively clad, stylishly and tastefully. I definitely noticed more glamour and opulence than what you might see in Paris, but what you might expect to see in elite locations in London. Italian Vogue is certainly reflective of the Milanese fashion spirit and its style. Women and men alike had taken the time to present their best self and of course, if you’re enjoying an aperitivo in the bar of one of Italy’s most notoriously luxurious fashion houses, then of course, you must dress the part and both sexes did. It was this, the approach to fashion as opposed to the fashion itself, that made me fall head over heels for Milan, that reaffirmed my adoration for Dolce and Gabbana and gave me a sense of pride for my dedication and love for fashion. Milan is unashamedly glamorous, it’s unapologetically fashionable and the life here for a fashion lover can’t help be anything but La Dolce Vita – with endless places and opportunity to dress, to see and be seen and most importantly, for your efforts to be appreciated. The Italian duo are known for doing nothing by halves and this spectacular palace, complete with gardens and courtyards, was not just here to satisfy the rich and famous’ desire to shop. This was a Dolce and Gabbana brand experience, a lifestyle experience and Dolce and Gabbana were providing the clothes and showing you the lifestyle in which their clothes belong to. After drinking two…. or maybe three of the Sartoria Spritz cocktails, created and named after the new atelier, my fiance joined me and we enjoyed an apperitivo of oysters, smoke salmon and a cold and spicy lobster bisque. It’s pretty fair to say, it was possibly one of the most decadent appertivo I have ever had in Italy. Through fear of eating too much before our dinner, we left the Dolce and Gabbana palace to continue to buzz without us. ‘Tomorrow,’ my fiance said, ‘I will take you to the Duomo di Milano. Then for drinks at Maio at La Rinascente and then to the Dolce and Gabbana Gold restaurant for lunch.’! Indeed this Milan/ Dolce and Gabbana lifestyle was one I could most certainly get used to living. This is why you’ve got to love a fashion city! Yes, there are TV screens in the bathroom doors – in case you wish to watch Goldfinger whilst you’re on the john! Love it! cotoletta alla milanese – my first coteletta in Milan! And last but by no means least – Dolce and Gabbana accessories shopping! My lovely leopard Dolce and Gabbana purchases and some gold too!